Midwest Folding Products offers budget-friendly, high-quality furniture that will serve your space for many years. From stages to folding tables to computer furniture, you can rest assured that these products are in it for the long haul with a 25-year warranty. Exceptional durability gives you the peace of mind to use these great items over and over. 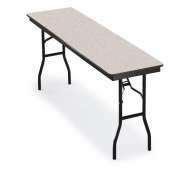 No matter what kind of tables you are looking for, Midwest has great options for the educational, religious or professional setting. Feel free to choose the training tables, portable risers and plastic chairs you need. Hertz Furniture is proud to bring you these exceptional items at great prices. Furniture from Midwest Folding Products will come in handy in just about any room. 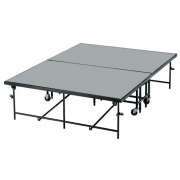 If you are looking for folding tables and banquet tables for your social hall, you have come to the right place. 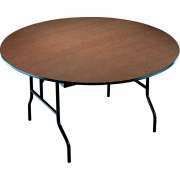 Whether you want rectangular or round tables, you can choose from a number of sizes and styles. If you use the same space to host many events, you might want to order a number of different shapes so you can mix and match or create different configurations for various purposes. Setting up many tables of different sizes can put quite a strain on custodians and volunteers. To save time and keep your tables in great condition, purchase some convenient table carts. With table trucks, you can easily roll multiple heavy tables into position, and keep them stored efficiently in one space. 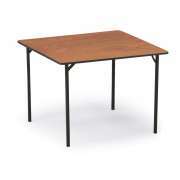 Midwest tables are also useful in educational settings. 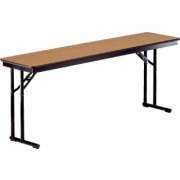 When you are furnishing a lunchroom, functional cafeteria tables are essential. Our models come in many different styles with a variety of seating options. Choose between bench tables, stools and chairs to get the configuration that is best for your students. 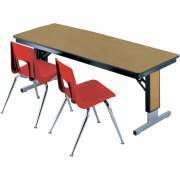 And while you're at it, why not add in some durable classroom tables. Appropriate computer furniture is necessary in every modern school and company. When you have valuable electronic equipment that is used on a regular basis, you want to make sure that it is properly-supported. 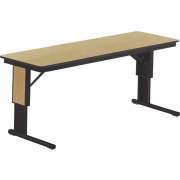 Sturdy computer tables are useful to have in both a school computer lab and a business environment. If you need furniture for occasional training or professional days, we also have a selection of seminar and training tables. Cantilever legs will give participants more open leg room so they can sit comfortably during sessions. 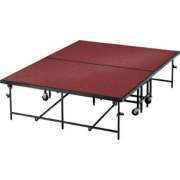 Moving on to the gymnasium or multipurpose room, you can transform any area into an attractive performance space with portable stages and risers. With a number of shapes, sizes and configurations, anyone can find the right arrangement for a particular space. These units can be ordered individually or in sets. Smaller sections can be ganged together to create an original arrangement for every performance. This flexibility is also convenient if you need stages for churches. To ensure that performers, musicians and presenters can get up on stage safely, purchase some sturdy stage steps. Having the performance space arranged is the first step toward creating a venue. 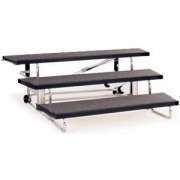 If your portable risers will be holding a standing chorus or orchestra, you will also require some additional equipment. 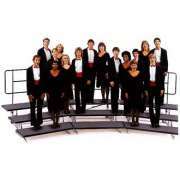 Midwest has user-friendly music furniture which can be used during performances or practices. 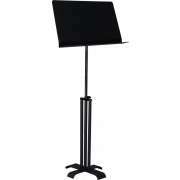 Height-adjustable music stands will help amateurs, students or professionals stay on tune. Hertz Furniture is proud to offer you a wonderful line of versatile furniture from Midwest Folding Products. Whether you are looking for one item or furnishing an entire building, you can find a great selection of models that will continue to serve your institution well for many years to come.